Grief is a quirky emotion, and no two people ever react quite the same. Quinn is one of those who found relief and escape in numbness: after her sister’s death she lost her best friend and nothing has felt right since. And in some sense, she feels guilty about that numbness, for from the outside she has almost everything: her dream job as a sous chef in a trendy LA restaurant, a loving family and a man who is only hoping she’ll open her arms again to him. But, despite all the good – there’s nothing: no celebration, no hope, no real sadness: just an empty hole where her heart should be. 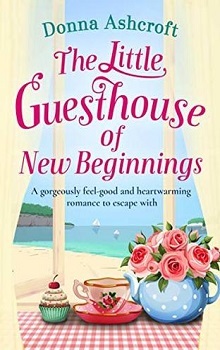 And then, the one thing that brought her emotions to the surface for a moment – an inheritance tied to a shocking secret – and she’s curious enough to investigate. Wildstone is a throwback town, feeling very wild-wild west, a bit run down and the only reason Quinn found it is because of this secret and the inheritance. But Mick left Wildstone in his rear-view mirror as soon as possible. The homegrown boy wanted more and different, and needed to be out from under his father’s thumb. With a successful business in San Francisco he’s not interested in Wildstone or a relationship, but his mother needs his help. With his trusty and totally adorable dog Cooper, he’s been helping his mother out and doing chores long-overdue. Quinn’s inheritance included part ownership of both a house and the diner in town: but that’s not the tough part. With the unburied secrets, she’s facing a crisis and many questions: so much so that she’s spotted by Mick on the beach in the midst of a panic attack. Of course, the first emotions she feels, really feels in ages is panic – and that just opened a floodgate to feel everything. Quietly the attraction between Quinn and Mick sparks, as he’s patient, quietly accepting and not ready to push her too far or too fast. 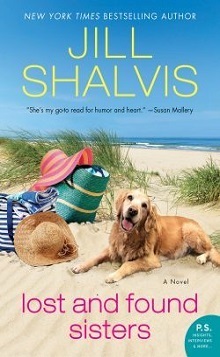 Here is where Shalvis is at her best: characters that you NEED to know and want to befriend, a connection that sparks off the pages and a series of questions and answers that couldn’t be any more fitting: laughs, tears and serious moments of aww – this is a wonderful introduction to a new series, and another winner from Shalvis.